If they can’t control him. 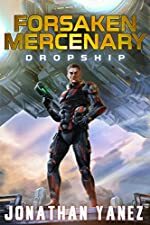 They’ll try and kill him.Daniel Hunt is the deadliest mercenary in the galaxy if he can just remember. Five years before he woke up with nothing more than his name. Now his present is on a violent collision with his past and the future of the galaxy. The Earth is dead. Humanity has taken to the moon and Mars to have a chance. On what’s left of Earth primal gangs war for dominance. In 1773, the prince and princess travel across the globe on a series of secret missions. Along the way, they run into unexpected dangers. Aisling’s magical abilities are increasing, but dark forces who seek to destroy her powers are hunting them. The prince must protect her at all costs, as they fight for survival and abiding love. If you like fantasy, action-adventure and romance, you’ll love this novel by Cassandra Finnerty.